Yes, it's true. We weren't at COMPUTEX 2013 in Taipei this year. However, we did get sent some clips from our friends at Rosewill. They were in Taipei showing off their latest products including a new case and a number of new power supplies. Buu Ly, from their California office, takes us through the new stuff. Go have a look! If you're having trouble viewing the video above, you can view it on our YouTube Channel. New Rosewill Power Supplies (00:27) - Rosewill shows off a number of new power supplies including the new Capstone Infinity (80PLUS Gold) and Tachyon Infinity (80PLUS Platinum). Both of which are modular. They also showed off their first digital power supply called the EPOCH which gives you a read out of what your power supply is doing via software and a USB dongle, and they also had a new version of the Silent Night that is now 80PLUS Platinum, fully modular, and is completely passive in design. New Rosewill Rise Full Tower Gaming Case (01:45) - The new Rise full tower gaming case takes the adoption of SSDs much more seriously than most. In fact, it ditches all of the 3.5 inch and 5.25 inch drive bays in exchange for a much more slender profile that still manages to house two 280mm radiators at the top and at the front of the case. Hard drive space is given back to you in the form of two 2.5 inch bays to put your Solid State Hybrid Drives or pure SSDs back there. It's definitely a progressive chassis, but I fear it might be a little too extreme for most. And that's what Rosewill had in store for us at COMPUTEX Taipei 2013. 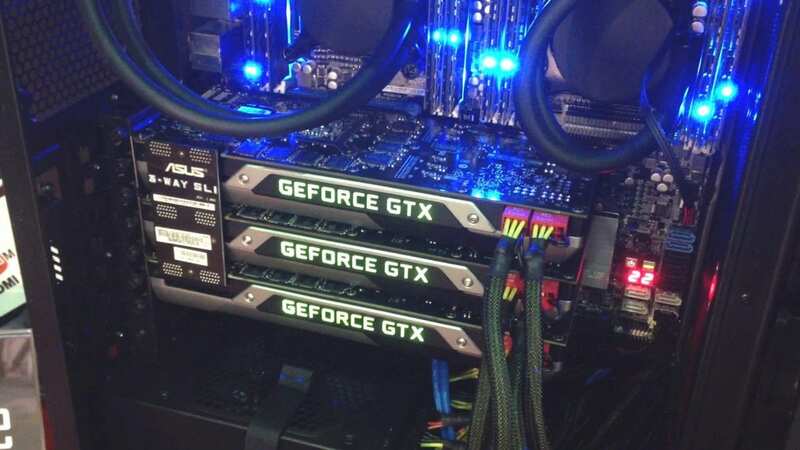 If you missed our COMPUTEX 2013 written coverage, there's a ton of it right here. Please leave comments for us because we'd love to hear what your thoughts are on these products, especially the new Rise chassis.